In tonight’s Planet Waves FM broadcast, Eric will be looking at the astrology of the proposed Syria intervention, as well as why the Miley Cyrus controversy actually means something. 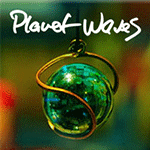 That will post to the Planet Waves FM homepage by 8 pm EDT (or earlier). Earth is in a constant state of flux and change, especially in our era of Earth changes. We live with that tension, as we expect the climate and geography to be reasonably stable, though so often in our moment of history it’s anything but. Today’s edition will open up the topic of the Age of Aquarius — something we have not seen discussed much on Planet Waves. On the Planet Waves blog, today’s Daily Astrology article delves deeper into tonight’s Aquarius Full Moon, which carries a message about ‘fixed’ emotional patterns. Also, Len Wallick’s column will run at about noon today, asking us to consider the potential held by the Sun’s aspects as it ingresses Virgo this week. The developments of Arab Spring and the Uranus-Pluto square that precipitated it have taken another violent turn this week, as the Egyptian military killed more than 600 protesters and injured thousands in a crackdown on the Muslim Brotherhood. As we go to press, many sources are reporting that the standoffs may be escalating and that there is more bloodshed expected. In the most recent Daily Astrology, Eric writes about Mercury opposite Juno (exact today), which forms a grand cross pattern with the lunar nodes. This is a karmic statement — what squares the nodes is the topic to address; the thing without which we cannot easily move forward. Just hours before the Leo New Moon, the owners of The Washington Post announced that they had sold the paper to Jeff Bezos, the billionaire founder of Amazon.com. While everyone said they were shocked, The Post had been struggling, and seeking a buyer, for a while. Nobody could be that surprised that the money to buy the paper came from the industry that has all but swallowed print media — the Internet. During today’s New Moon, there’s an opposition between Pluto in Capricorn and the Jupiter-Pallas conjunction in Cancer. Are you sure your emotions are serving a purpose other than as a defense mechanism in response to when you feel your foundations being shaken — or in need of some renovation, so that you’re not building your future stuck in the past?